This platter is very versatile as it can be used as a beautiful centerpiece as well as a serving platter. 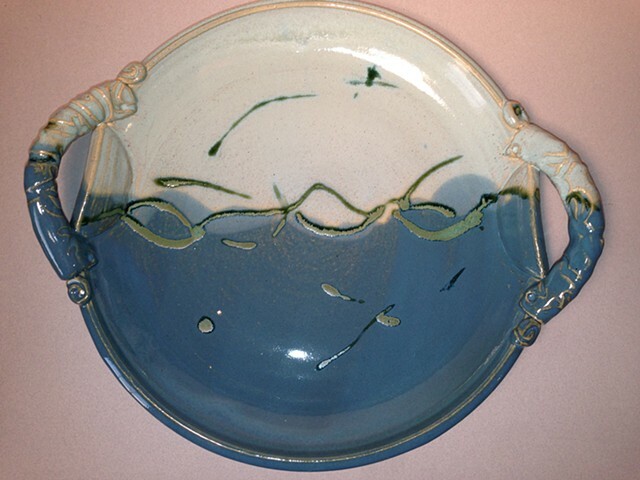 It was created on the wheel with stoneware clay. Then I added textured handles which afford a very comfortable grip. The glazes are food safe and fired to cone 6. As a result it can go in the oven and dishwasher as well. It would make a fabulous wedding present or housewarming gift.